Details of UNILORIN Undergraduate Admissions (Post UTME/DE, Remedial, Institute of Education, JUPEB, Postgraduate and Business Schools. You're on the right page if you want to know if UNILORIN remedial form, Post UTME or DE form, JUPEB form, IOE/sandwich form, Postgraduate, Nursing form etc are out. You will be taken through all the requirements for each of program, websites or portals for them and more. This post will, in brief, address what each of these programs is and what it takes to apply and be admitted for each. Links will be provided for each of the programs for you to check if (as the time of reading this post), the program is on sales - so you can apply. I will be brief with my explanations to safe your time. You can also jump to the headings of the programs you’re most interested in if you can’t cover them all. University of Ilorin conducts her one-year preliminary course at Fufu – a study center in Ilorin. This program is a pre-versity course you can take before being given admission to the 100 level of your proposed course at the university. The program involves intensive lecturing, tests and final exams – which must be passed to stand any chance of being given your intended course, or otherwise you may be dropped to a lower course. SSCE: You’ll need at least 5 credit passes in not more two sittings in any of WAEC, GCE, NABTEB or NECO. UTME: Remedial students will also register for the admission year JAMB UTME and score usually from 180 and above to have any chance of being admitted. Post-UTME: Remedial students may also need to write the university post UTME - like other aspirants who didn’t take part in the remedial program. Remedial candidates maybe be given some preferences during post UTME exercise e.g lower mark consideration, being given lower courses in case you can’t meet the requirements for more competitive curses. Check to see if UNILORIN remedial form is on sales. University of Ilorin also conducts computer-based entrance test for their aspirants seeing admission through UTME or from Remedial program. at least 5 credits passes in related SSCE subjects. These subjects must align with your proposed course. had ND, IJMB, JUPEB, HND, NCE or Bsc before and obtain the right grade or point therefrom. obtain UNILORIN post DE form when on sales. In your post UTME test, you must score at least 50% to have any hope of being admitted. Higher mark than this is the best you’d better target because this school is very demanding. Then, the school releases their admission through JAMB CAPS. You must follow up your admission progress through the JAMB CAPS. Check to see if UNILORIN Post UTME/DE is on sales. University of Ilorin runs an advanced Level program called JUPEB. With this program, you’ll be subjected to a year intensive course, tests and final exams. On completion of the course, you must produce a satisfactory grade or point. This point is the only thing that can guarantee your admission for your proposed course. Unlike remedial program, you don’t have to write UTME after completing your JUPEB. You only obtain JAMB direct entry form (which doesn’t involve witting UTME). Then you will be offered admission into 200 level of your desired course in UNILORIN or any other schools accepting JUPEB. Check out the list of schools accepting JUPEB, IJMB and Cambridge A’level. Check to see if UNILORIN JUPEB form is on sales. This is a course designed for only applicants for education courses. These applicants are usually graduates of NCE, HND, Bsc who want to further their studies in education. The sandwich program is usually run during long vacations to allow working class (existing teachers) partakes in the course. It’s usually a 4-year course which will award you Bsc. (Ed) after completion. Check to see if UNILORIN Sandwich is on sales. 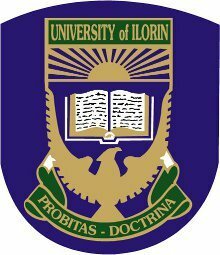 University of Ilorin runs a year post graduate program which eventually awards any of Msc, PGD or M.Phil/Ph.D. Depending on your proposed award, you will need certain grade or point from your previous qualifications i.e. Bsc, HND etc. You can check to see details of available courses, requirements and more at UNILORIN postgraduates programs page. The object of the University of Ilorin Business School is to develop highly skilled Professionals in Management and all other innovative areas of specialization for the public, private and international organizations. Applicants must be holders of Bsc, HND, ACA, ACMA AIB ACIS, CIBN or ACTS depending on the proposed course. Check to see if UNILORIN Business School program form is on sales. The University of Ilorin Teaching Hospital (UITH) belongs to the second generation of Teaching Hospitals which were established by law on the 2nd May 1980. It took off in July1980 and started operation using as its temporary site, the then General Hospital and Maternity Hospital Ilorin which were owned by the Kwara State Government. Candidates should posses at least five credit passes in the following subjects in to more than two sittings, namely; English Language, Mathematics, Physics, Chemistry and Biology NABTEB result is not acceptable for Nursing programme. Hence, don't apply with such result It's acceptable to combine NECO and WAEC, WAEC and WAEC, NECO and NECO and also GCE results with school candidates results Candidate must not be less than Eighteen years (18) and not more than 33 years of age. Candidate must not have any criminal record. Candidate must not have deformities affecting the hands. Three copies of passport photographs is required for the application.